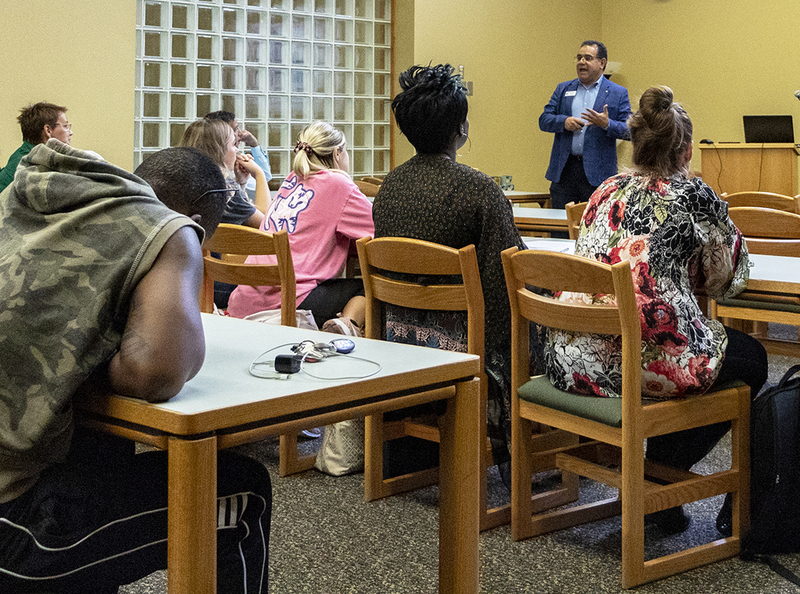 As part of Hispanic Heritage Month, SE Campus humanities dean Josue Munoz spoke on the culture of the Spanish language Sept. 26 on SE. Spanish can mean both to be of Spanish descent and of the language spoken by those from Spanish descent, he said. During the reign of King Alfonso “The Wise” in the 13th century, words from every nationality and religion were translated, which formed the first copy of the Real Academia Espanola dictionary, which has continued to today with new words added yearly. “A language must continue to evolve or, like Latin, it will die off,” Munoz said. Spanish has continued to evolve over the years through words like azucar (Arabic for sugar), almohada (Arabic for pillow), and Sabado (Hebrew for the Sabbath – Saturday). In fact, Spanish has adopted over 4,000 words from Arabic alone, he said. The influx of Arabic, Jewish and African immigrant influences have all been traced to the evolution of the Spanish language. Even in Spain, Spanish is not the only native language listed. In many more of the former Spanish colonies, more words have been adopted from Nahualt, an Aztec language, such as tortilla in Mexico. However, a tortilla in Spain is completely different. “You can’t hold language by a borderline,” Munoz said.